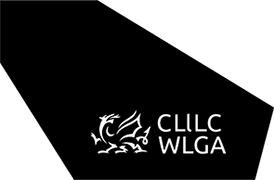 Welsh Local Government Association evidence to External Affairs and Additional Legislation Committee's inquiry into resilience and preparedness: Welsh Government’s administrative and financial response to Brexit and its support for public services. Welsh Local Government Association evidence to Climate Change, Environment and Rural Affairs Commitee's inquiry into food and drink policy in Wales. Welsh Local Government Association evidence to Economy, Infrastructure and Skills Committee's inquiry into the impact of congestion on the bus industry in Wales. Welsh Local Government Association evidence to Economy, Infrastructure and Skills Committee’s inquiry into City Deals and the Regional Economies of Wales. Welsh Local Government Association evidence to Equality, Local Government and Communities Committee's inquiry into Human Rights in Wales. Welsh Local Government Association and ADSS Cymru evidence to Health, Social Care and Sport Committee's inquiry into the Welsh Government's draft national dementia strategy. Read more about the inquiry by visiting the National Assembly for Wales' website here.